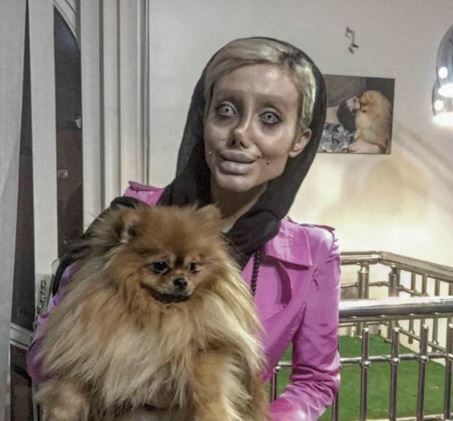 An Angelina Jolie fan from Iran recently shocked the world after she revealed her dramatic ‘plastic surgery’ transformation. 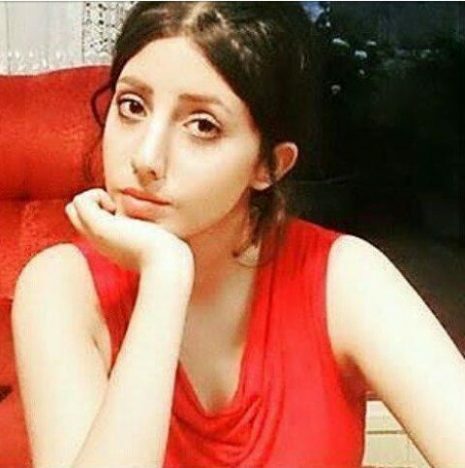 19-year-old Sahar Tabar reportedly underwent ’50 surgeries’ to look like the Hollywood actress. However, when her post-surgery pictures went viral, there were some very cruel remarks. Many people likened her appearance to a zombie extra from The Walking Dead, or the title character from Tim Burton’s The Corpse Bride. Others claimed she had Photoshopped the images for a more dramatic effect. 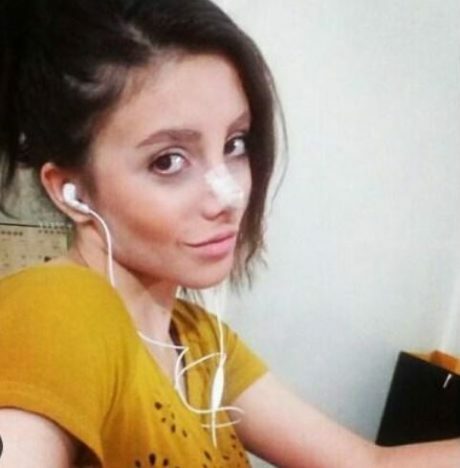 Now people have been shocked once again after new pictures emerged of the Tehran based teenager before her Angelina Jolie inspired cosmetic transformation. These newly revealed images have provoked an emotional response among many people, who believe she looked much nicer before the radical makeover. One person exclaimed: ‘Omg omg omg…she was so beautiful before’ while another lamented: ‘She was so pretty before’. There was plenty of anger against the doctors who performed the surgery, with one person remarking, ‘The plastic surgant [sic] that allowed her to do this, should loose [sic] their licens [sic] to be doctors, it is really sad to see this’. Omg omg omg…she was so beautiful before ??? She was so pretty before ? The plastic surgant that allowed her to do this, should loose their licens to be doctors, it is really sad to see this. It is not clear what the true extent of Sahar’s surgery has been. Some reports say she has resorted to extreme dieting to resemble her idol, weighing in at just 40kg. In the pictures she also appears to be wearing very light blue coloured contact lenses over her natural brown eyes. 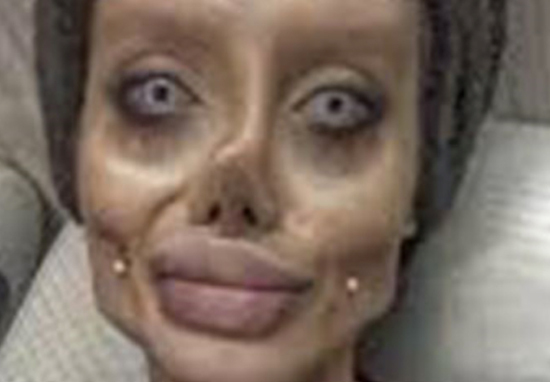 Although Sahar has reportedly undergone surgeries to look like Angelina, she has now admitted the ‘zombie’ look which went viral was achieved through the use of technology and make-up. According to Snopes, the Angelina Jolie mega-fan has since made the following confession to her Instagram followers. Hello relatively dear followers, the picture that you’re scrutinising, even though I didn’t like it, I kept it in … I must say I only had [indeterminate number of] surgery, not 50 surgeries, and foreign sites and channels were very biased in the way they talked about my photos. I thought these people are probably living in the 18th century and they haven’t seen or heard of technology or makeup and they are really surprised. In the same post, Sahar apparently accused her critics of displaying ‘a show of jealousy and flames’. I do believe she got plastic surgery, but it’s more or less makeup and extremely exaggerating her features that she got done. I’ve yet to figure out why other than just internet attention and fame. I kinda took it for face value, something you should never do and I ran with it. 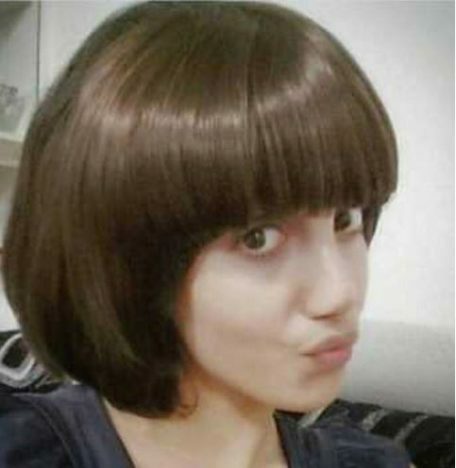 An Iranian teenager has allegedly undergone surgery 50 times in her quest to look like Hollywood star Angelina Jolie. This unusual story continues to unfold. 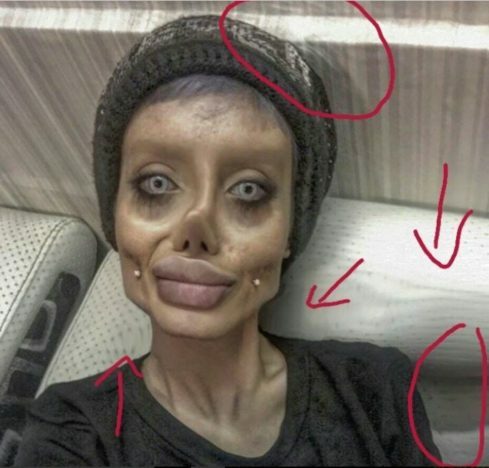 Did an Iranian Woman Undergo 50 Plastic Surgeries to Resemble Angelina Jolie?